One of my projects for this year is to scan all my old slides. I spent my first 20+ years as a photographer shooting with slide film except for client work. I also have everything from my husband’s and my growing up years and then some. There are about 12,000-14,000 slides to sort and scan. Do you have old photographic slides you’d like to enjoy but have no way to view? It’s increasingly difficult to find photo labs that can print your slides, so they seem to be destined to languish in boxes in the basement, or worse yet, get tossed. I feel your pain. The easiest way to get this project done would be to contract it out but with slide scans ranging from 25 cents to $5 per slide, it’s not in my budget. I also don’t want to ship my slides off and worry about them getting lost or damaged. Yes, I’m a control freak, but I worked for a film developer in college and know all the bad things that can happen. So, I’m doing it myself—and here is how to scan slides. There are many ways to scan and I’ve tried them all—from camera attachments that photograph the slides, to dedicated slide scanners to flatbed scanning. The camera attachments work ok, but you have to be careful that your light source is true white or you’ll get some funny color casts that are hard to remove. I had a dedicated film/slide scanner for a while, but its biggest drawback was having to feed slides in one at a time, making it really tedious. Now I have a flatbed scanner designed for print and film scanning (still tedious, just faster). The biggest advantage is that it scans four slides at a time and scans different film formats. I have an Epson Perfection Scanner; if you want to scan film be sure to purchase a scanner designed for the purpose. There are websites that tell you how to jury-rig your scanner for film. The quality will NOT be nearly as good as it will if you use a scanner designed for the purpose. 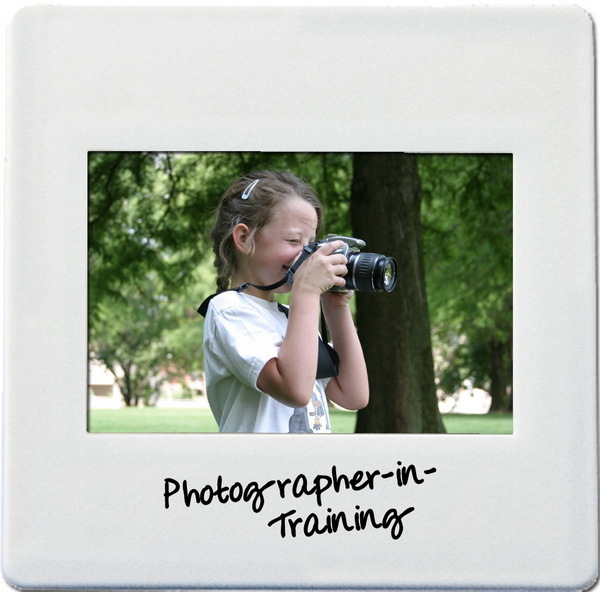 You’ll be less frustrated and your pictures will look better. When scanning slides, it is CRITICAL that your slides are clean and dust free. Because your originals are tiny, dust and dirt will be highly noticeable. I give each slide a quick spray on both sides before scanning. If you are scanning strips of film (usually negatives), you need gloves to avoid getting both fingerprints and oils from your hands on the film. Both can ruin film and leave fingerprints that can be impossible to remove. If the canned air isn’t quite enough, an anti-static film cleaning cloth or film cleaning wipes (like PEC Pads) are safe to use to gently wipe slides clean. This is a “last resort” cleaner. If none of the above methods remove your dirt use PEC-12. DO NOT use water or alcohol—both can irreparably damage your slides. PEC-12 is available from most photography supply stores. You are ready to scan. Set up your scanner and familiarize yourself with how it works. Yes, I realize this means you may actually have to read instructions as film scanning is different than print scanning. My scanner has automatic and professional modes. I ALWAYS use professional mode. It offers more control and options. If your scanner uses a film adapter, put in the one for slides. Choose the correct setting under document and film type. Slides are “positive film.” Everything else is “negative film.” If you aren’t sure which you have, slides look like the picture above. They are usually mounted in 2” x 2” “frames. Negative film usually comes in a strip and looks odd—the colors are the opposite of what you’ll see when it’s printed. Choose your resolution. I scan most of my slides at 2400dpi. I know that sounds high (most prints scan at 300dpi) but remember you are starting with a tiny original. 2400dpi is big enough to print up to 8 x 10, while giving you room for cropping and retouching. If you want larger prints, you can go up to 3200dpi. Remember, bigger scans make bigger files and take up more space on your drive. At 2400dpi, my files average between 3 and 6MB. Thankfully, I have a 1TB drive devoted solely to imaging. Put your slides in the adapter, close the scanner lid and do a “preview” scan. When your preview comes up take a look to see that everything looks ok (you can view them as slightly-larger-than-the-original thumbnails or full size. The thumbnail generally works for me. Before the actual scan you need to tell the scanner where to save the files and how to name them. Mine are named “scan###” and auto-numbered sequentially. Once it looks good, click scan. Once you’ve scanned all your slides and made a back-up, you can choose to keep or toss the originals—it’s up to you. I keep only the ones with the most significance to me and toss the rest. You can use a photo-editing program like On1 to make color and exposure corrections, crop and enhance your images before printing. I’ll be printing most of the family photos for my albums because printing is the BEST way to archive images. If you need help getting started with those prints, check out Shutterfly for easy online printing. 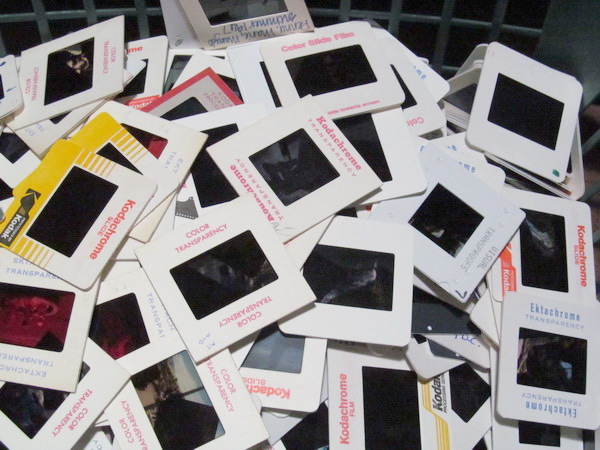 Have you tried scanning your old slides? Do you have any questions about caring for slides? Please share your comments and questions below. This post was originally published in July of 2013, and has been updated with the most current information. Hi! I really appreciate your expertise in this matter. Our family also invested heavily in slide photography. Now, I need to prepare myself for the endless task of scanning them and your web site seems to be answering many questions. I was gifted a much smaller device for scanning slides and negatives a few years back and found it to be tedious, but with decent results. I think I’ll be asking Santa for a flatbed. You wrote that 4 slides can be done at a time? And, it’s on a flatbed which means not having to slide (no pun intended) the slides into a carrier? I’m in! Yes, Linda. I use a flatbed which holds 4 at a time. I know there are also scanners that you can set a stack in and it goes more quickly, but to buy one is a bit out of my budget–and I haven’t yet found a good place to rent one. I started out with one of the one-at-a-time scanners and it was definitely tedious. At least it goes more quickly with the 4-up flatbed. Good luck with your scanning. I purchased an HP flatbed scanner a few years back capable of scanning pictures, slides and negatives. The slide tray will allow scanning up to a dozen slides at a time. At the time I bought this, the price was just about $200. Definitely not one of the current $65 multi purpose inkjet printers with scanner. But those won’t do slides or negatives. Hi, Tom, That sounds a bit quicker than 4 at a time. I may have to see if they still make those. is ACDSEE one you have to buy now? it looked like it (it may be worth the investment) i used to have it on my old pc, thanks! ACDSee is a program you need to buy. I own one of the more basic versions–and there are almost always nice discount codes if you do a little digging before you buy. I’ve been using it for years–since before Lightroom was developed and I still like it better than Lightroom.